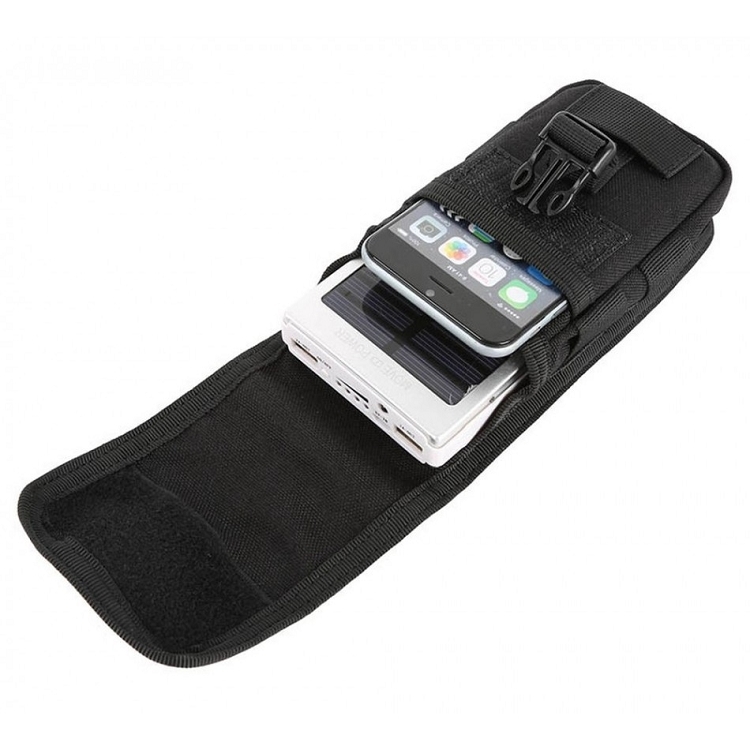 The universal vertical cover has been designed for storing various electronic devices and accessories, eg telephone, powerbank, camera, etc. 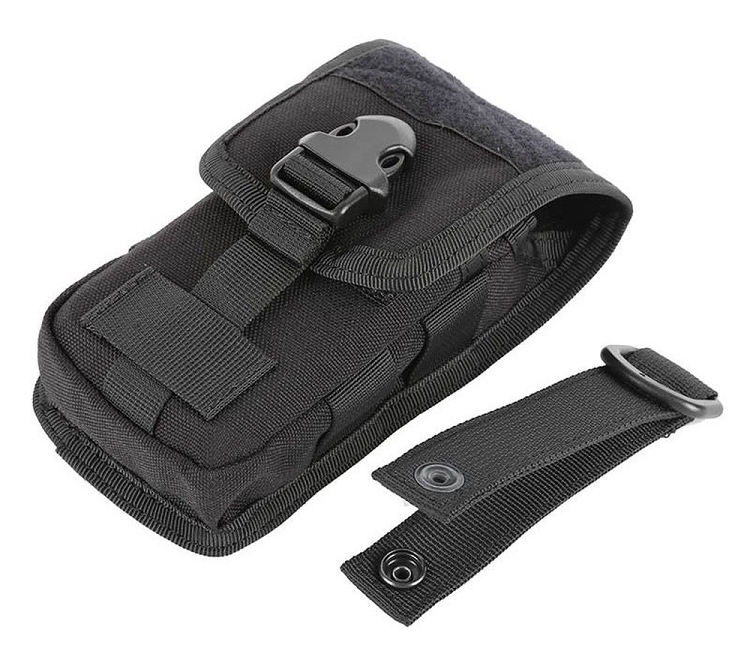 The cover has two smaller and larger compartments, the whole is closed with a Velcro flap and a fastex buckle. The side walls are provided with mounting tapes for a pen, carabiner, etc. 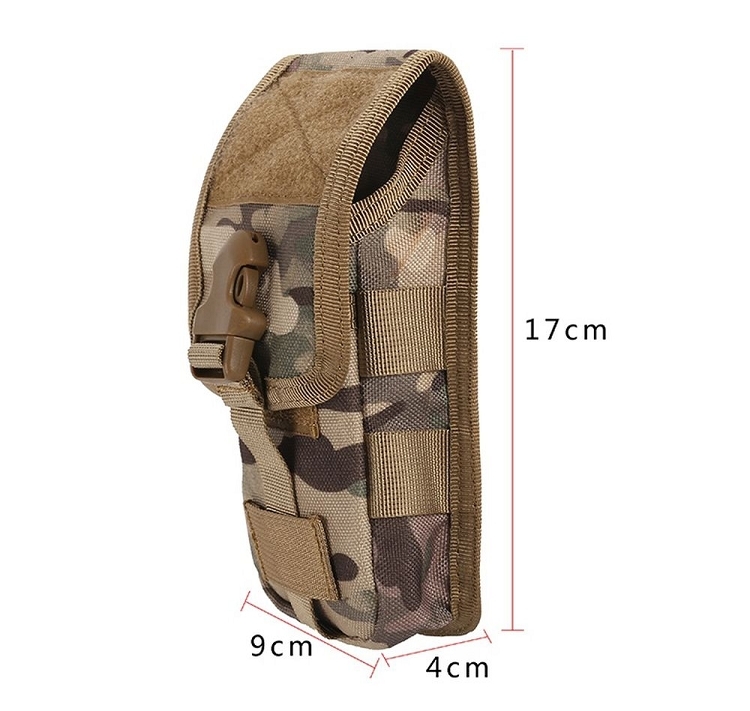 Fastening with one molle system tape, D-ring and two loops allows attaching the belt cover as well as for various types of equipment. 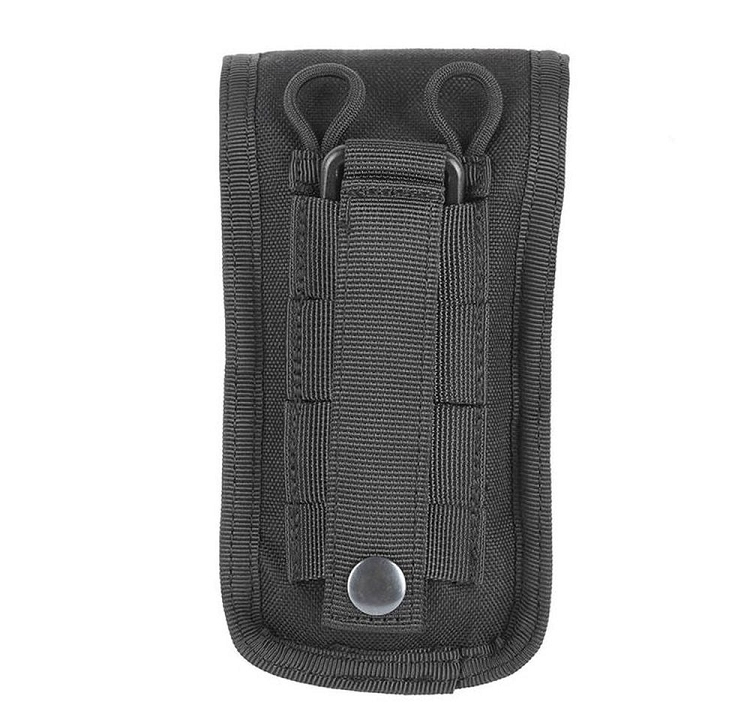 Made of strong nylon resistant to damage and abrasion.